We've come up with some reasons why should not stay onboard the cruise ship while in port. It might not be what you expect and you'll miss out on the shore side experience. 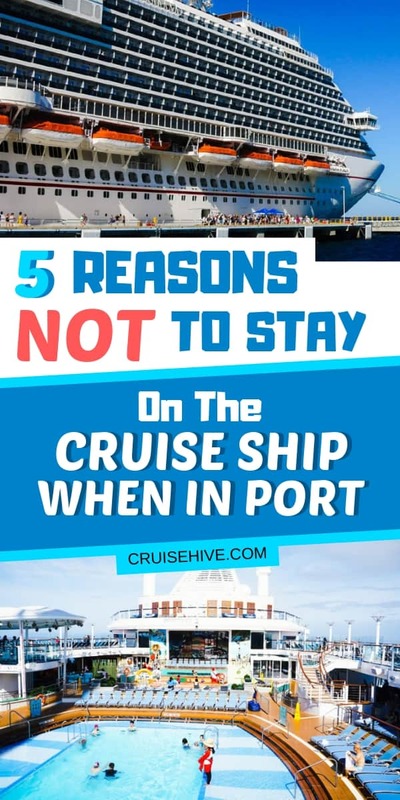 We already did an article on 5 reasons to stay onboard when the cruise ship is in port. There are also reasons why you shouldn’t stay onboard when the ship is in port. It all depends on what type of cruiser you are and if you have visited the port of call before. This can be handy for new cruisers who can’t make up their mind. Except for a few ports at certain times the Tax and Duty-Free shopping onboard the cruise ship will be closed when in port. Don’t expect to do a spot of shopping to make up for you not going ashore. The shops are only allowed to open and sell tax-free products when the vessel is in international waters. Oh yes, and one more tip for the shops, don’t leave everything until the last day of the cruise as it will be way too busy. Just like the shops onboard, the Casino is also closed. There is no way you’ll be able to use up your time in port by betting and gaming in the Casino. Just like the shops, the Casino will only be open when the ship hits international waters. This will usually be a few miles away from the coast. If you’re on the ship while in port it would be best to stay away from your stateroom and the surrounding area. The reason for this is the housekeeping department will use this time to tidy and sort out your room. Most guests will be ashore so it is the best time for them. The crew members don’t get much time on land so will try to get it done as fast as possible so they can also enjoy the destination. 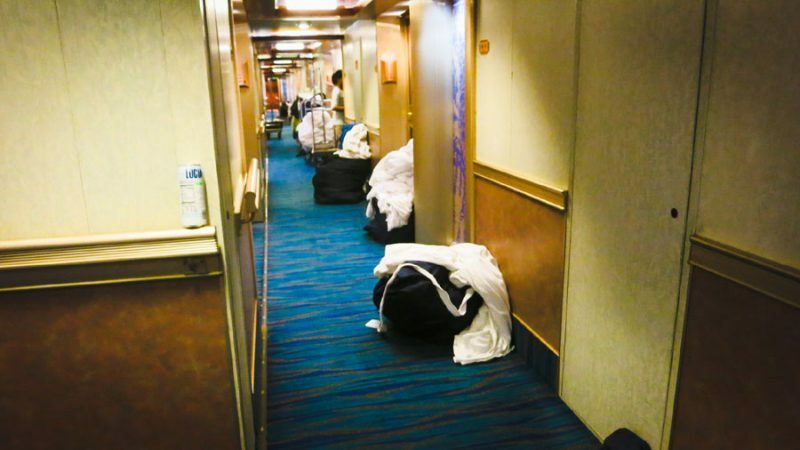 When walking down the corridors you’ll see housekeeping staff running about in and out of cabins. This will usually start in the morning so also don’t expect to get a nice relaxing sleep-in while in port. This is a good thing but can still be a little annoying if you’re still on the ship. When most of the passengers are off the ship at certain ports, the crew will do a safety drill. When this happens you might feel a little worried due to crew members walking around with life jackets on. You’ll see crew everywhere as they practice their safety procedures. Once the drill is over all the elevators might be full of staff as they return their life jackets back to their cabins. There will be several loud announcements over the ship’s PA system so don’t expect any relaxation or sleep during this time. Doing ship maintenance is best done while docked at the port. Passengers don’t like to see workers drilling and knocking all over the place so the cruise line keeps it to port times. Crew members will often do some cleaning on the ship’s hull and use heavy machines inside when making the vessel all nice and shiny. A common area is the open deck where often you’ll see areas cordoned off with workers painting over the rust and doing general maintenance. If you’re an avid cruiser then maybe you’ve already been to the port of call a several times and it could be time to enjoy the ship more. With most guests heading ashore it could mean having the entire ship to yourself! 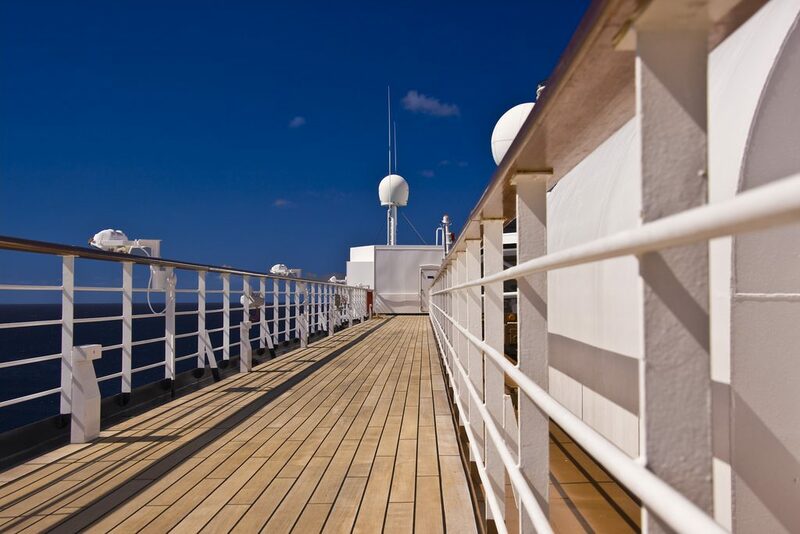 These are just a few reasons which might help you decide on staying onboard or going ashore. If you have any other cruise tips and reasons not to stay onboard when the ship is in port then head on over to the Cruise Ships group and share.